There are lots of anti-aging creams available in the market and Anti Wrinkle 55 is undoubtedly a well known one among them. It has a strong consumer base. This cream claims to relax the facial muscles in a similar manner to Botox – that’s how the tag line of this product goes - “better than Botox in a bottle”. 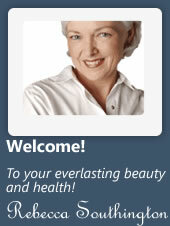 The company website does not offer many details about Anti Wrinkle 55. All they tell is that it uses the strongest natural ingredients like Hyaluronic Acid and Argirilene Peptides to put collagen production in overdrive- to help you achieve a much younger look. It claims to contain 14 carat gold flakes. When you apply this anti aging cream, the gold flakes disappear into your skin and pull the toxins out. This way, it actually removes the dead skin cells caused by several factors, such as smoking, pollution, sun, and tanning beds – only to restore the beauty of your youth. The anti-aging ingredients it uses have been found to offer well-documented results. In fact, for an anti wrinkle cream with these quality ingredients, the price of Anti Wrinkle 55 is quite reasonable. Since there is not much information available on the company website, some of the claims made by websites that sell this product do not have evidence to support the same. For example, some websites claim that plastic surgeons recommend this anti aging cream before resorting to plastic surgery. But, there is no evidence to back this claim. Likewise, the claim that it can add collagen to the skin does not stand firm, as the ingredients used are not the best choice for this purpose. Despite the pros and cons associated with Anti Wrinkle 55, it is a fact that the product has a broad consumer base. The reason probably is that it offers quality ingredients like Hyaluronic Acid and Argirilene Peptides at a very reasonable price. Researchers have documented these ingredients to offer great results. Therefore, if you overlook the negatives aspects, Anti Wrinkle 55 doesn’t sound like a bad deal, at all.